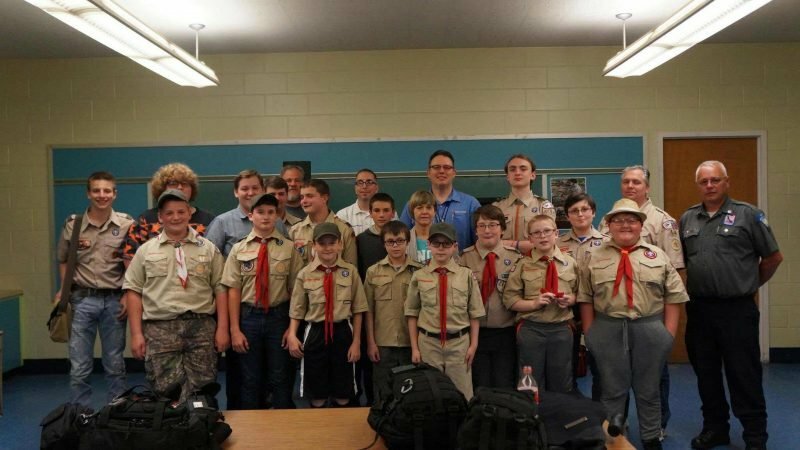 PLAINFIELD — American Professional Educational Services Instructors Joey Hundley and Mark Greczkowski conducted Bleeding Control training for Plainfield Boy Scout Troop 54 on May 22. The training is supported through the Department of Homeland Security’s Stop the Bleed Campaign and was developed following the events of the Sandy Hook Elementary School shooting in consult with the Hartford Consensus. The Scouts and their parents learned about bleeding control in various situations such as home emergencies, motor vehicle accidents, hiking and active shooter-type injuries including wound packing and applied real tourniquets to ensure familiarity with the devices. American Ambulance Director of Operations Mark Greczkowski also presented the troop with some items for their first aid kit, including a combat action tourniquet.